With its acquisition of Tier 3, a relatively small but respected IaaS and PaaS provider, CenturyLink(s ctl) continues to fill out its cloud repertoire. Tier 3?s public cloud infrastructure and management is now branded and sold as CenturyLink Cloud and “will be open for business” Tuesday, Jared Wray, founder of Tier 3, and now CTO of CenturyLink Cloud, said in an interview. Terms of the deal were not disclosed. 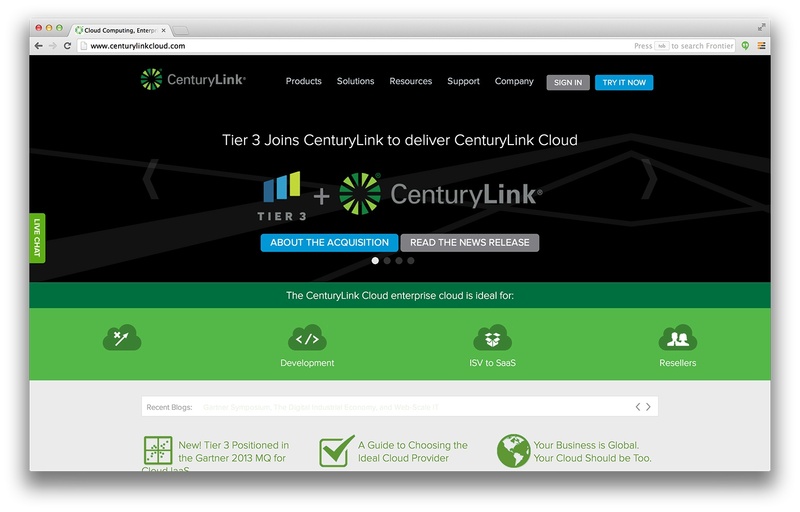 “Tier 3 is an innovative platform in cloud management, highly scalable and highly performant, but the real reason we’re buying it is because we have customers running on hybrid cloud platforms across colo [colocation centers], managed hosting, and cloud and Tier 3 provides management across all three pillars,” said Suku Krishnaraj, VP and GM of CenturyLink’s Cloud Business Unit. The biggest knock on Tier 3 was that it lacked size and that’s something it will get with this deal. Where Tier 3 has 9 data centers, CenturyLink fields 55 and plans to take Tier 3 across all of them, Krishnaraj said. Tier 3 will become the basis for a new cloud development center to be based at or near Tier 3’s Bellevue, Wash. headquarters. Gartner(s it) analyst Lydia Leong likes this deal. CenturyLink’s Savvis arm “is actually a very strong enterprise player in the cloud, specifically in winning large-scale managed services deals delivered on a cloud platform. Tier 3’s platform is significantly superior, though, and should expand their delivery capabilities,” Leong said via email. CenturyLink, a rural telcom based in Monroe, La., started down this path to cloud in April, 2011 when it dropped $3.2 billion to buy Savvis, a data center provider. Last June, it added AppFog and its Cloud Foundry-based PaaS to the mix. Now, with both AppFog and Iron Foundry PaaSes in house, the plan is to converge the two PaaSes over time, Wray said. Lucas Carlson the former CEO of AppFog, is now VP of cloud evangelism for CenturyLink. Leong has long said that someone should buy Tier 3, so mission accomplished. Congrats to my friends working at Tier3! Well done. Side note: Seattle people need to stop saying “performant.” If it’s a word at all, it’s a noun synonymous with “performer,” like an actor. Even if the construct was a real word, it wouldn’t indicate whether it’s a negative or positive thing. Something can perform well or poorly… this word would only describe that it performs.